"We didn't take anything with us," Sarah Jo Myrick said. "We just got out of the house." When they returned to their home of almost 47 years, almost nothing was salvageable. The couple had kept their important documents stored in a fireproof cabinet, but the cabinet was broken when it fell from an upper floor to a lower one as fire spread through the house. The Myricks are in the process of rebuilding and replacing what they lost in the fire, with some assistance from the Tennessee State Library and Archives and other agencies that keep copies of records. The Myricks were one of several families victimized by the Gatlinburg fire who asked the Library and Archives to help them find copies of their marriage certificates. "We're very thankful to the Library and Archives for providing copies of those records for us," Sarah Jo Myrick said. While the Gatlinburg fire was an unusual and tragic situation, the Library and Archives provides replacements for vital records to citizens on an almost daily basis. "Most Tennesseans don't realize that the Library and Archives can provide them with copies of older birth certificates, marriage certificates and, in the case of deceased loved ones, death certificates," Secretary of State Tre Hargett said. "These records are kept by other agencies until they are at least 50 years old, then the records are transferred to us. When fire or other tragedies strike, people often need copies of those types of records in order to get on with their lives. Providing those records is a service we offer that people don't know they need until they really need it." 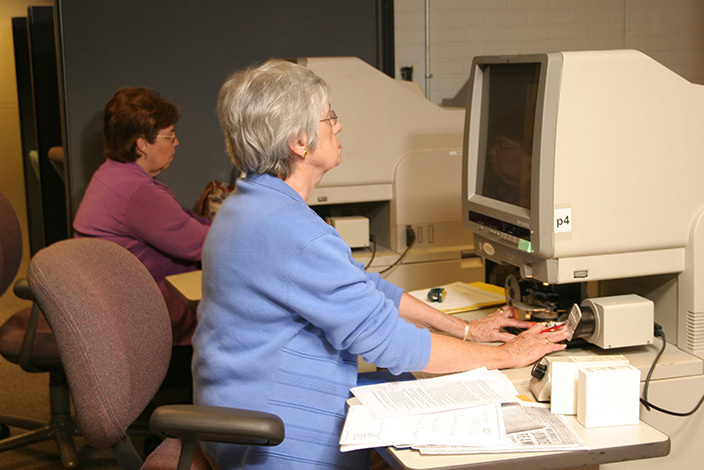 The Library and Archives stores preservation copies of records for the local courthouses in Tennessee's 95 counties. If records in the county archives are damaged or destroyed, they can be replaced with those copies. The Library and Archives was able to provide invaluable help, for example, after the Van Buren County Archives burned two years ago this month, destroying the property deed records for the entire county. "Sometimes people think of the Library and Archives primarily as a place to go if you're conducting historical research of some sort," State Librarian and Archivist Chuck Sherrill said. "And that is certainly an important role that the Library and Archives plays. However, we also provide these vital records that people need in their everyday lives. That's what we really want people to understand - that we're here to serve all Tennesseans, not just those with specialized interests."